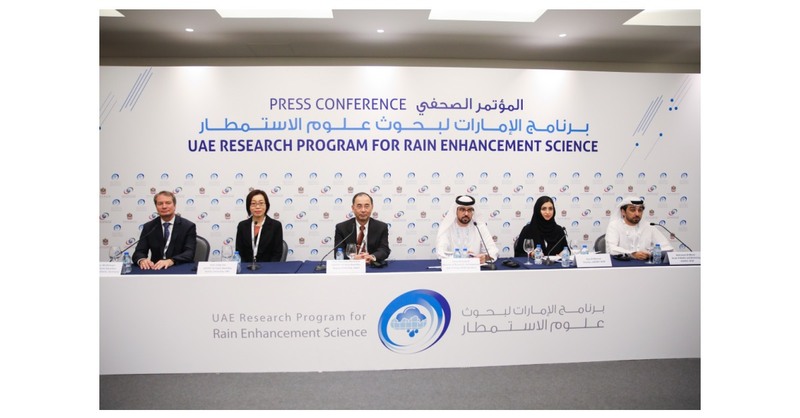 ABU DHABI, United Arab Emirates–(BUSINESS WIRE)–The UAE Research Program for Rain Enhancement Science’s 3rd International Rain Enhancement Forum (IREF) today featured the final project results of its 1st Cycle awardees at the 2019 Abu Dhabi Sustainability Week (ADSW). Professor Linda Zou, a Professor at the Khalifa Institute of Science and Technology, has fabricated, tested and validated novel nanotechnology-based cloud seeding materials that can increase rain droplet dimensions by up to 3 times their original size, at 100% relative humidity, compared to conventional cloud seeding materials. Two patents have been filed for this unique material, and an examination of potential methods for mass production is currently ongoing. Professor Masataka Murakami, Designated Professor from the Institute for Space-Earth Environmental Research, Nagoya University and a visiting scientist at the Japan Meteorological Research Institute (MRI), has developed new statistical evaluation methods to study long-term effects of seeding and investigate improvements in seeding effects, and developed a numerical simulation model for forecasting and identifying suitable clouds for seeding.